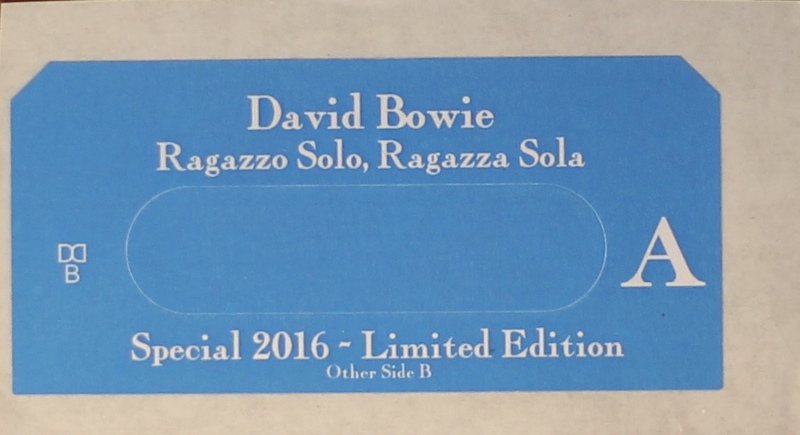 Ragazzo Solo, Ragazza Sola: Italy; Blackstar; 2016. 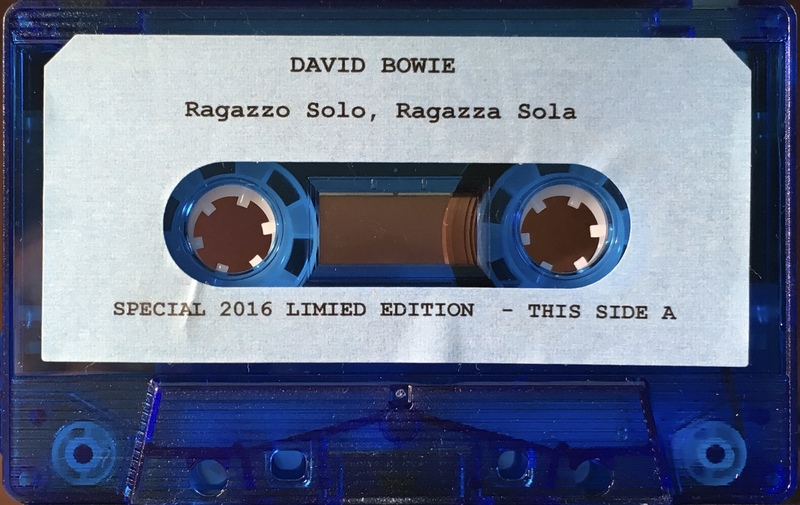 Released by Italy’s Blackstar label in celebration of the V&A’s ‘David Bowie Is..’ Bologna exhibition. 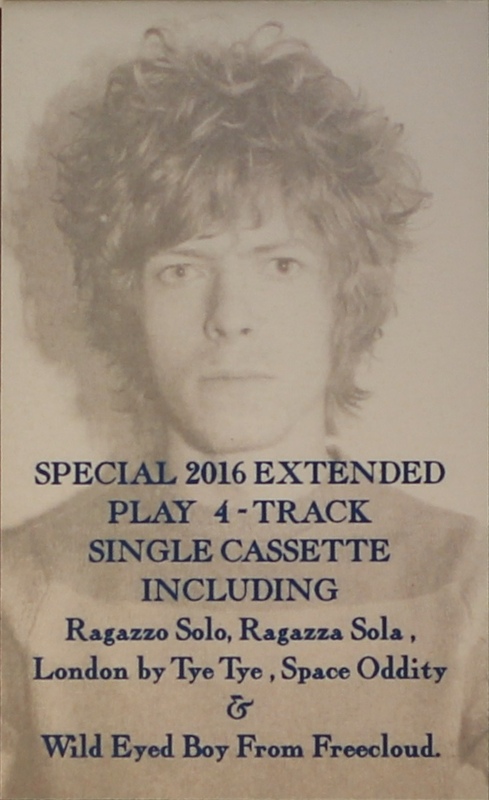 Limited edition cassingle release. 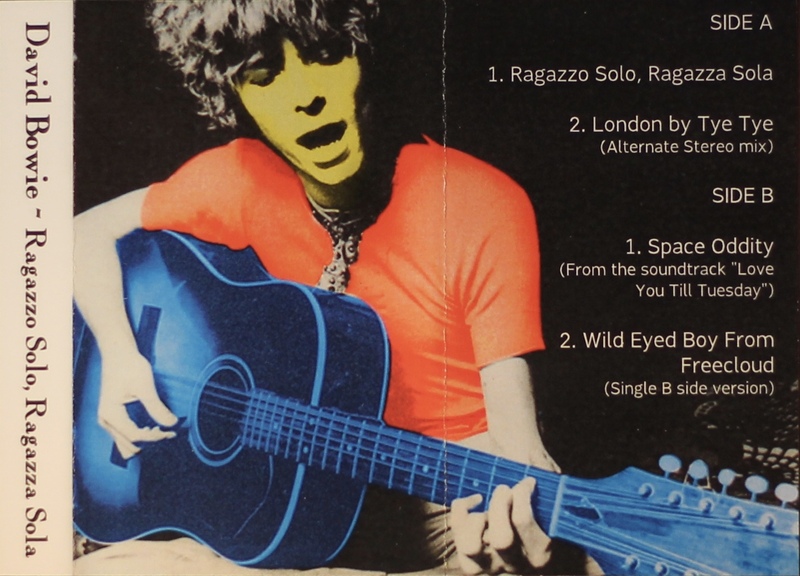 Initial copies were released with the title of ‘London Bye Ta-Ta’ printed as ‘London By Tye-Tye’ (shown below with), these misprinted tapes are considerably rarer than their corrected counterparts. 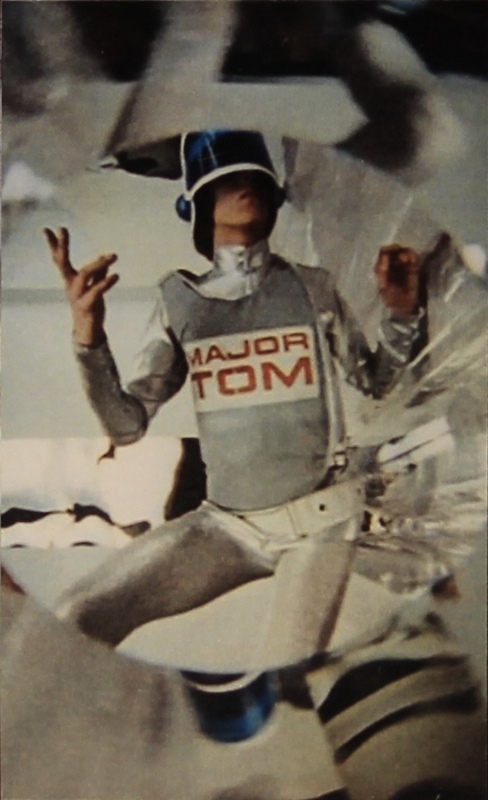 The mistake was also on the picture insert – these were never corrected. Replacement blue label also shown. 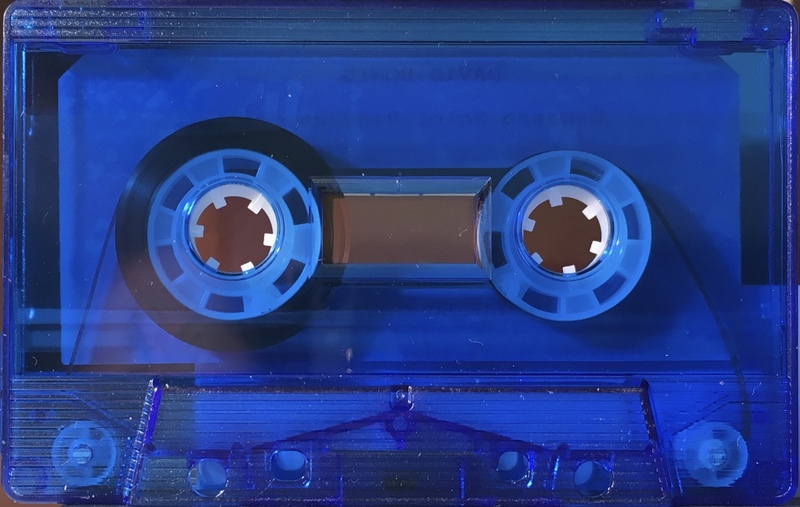 Limited edition cassette only release with full art printed cover; custom labels on transparent blue shell and picture insert. 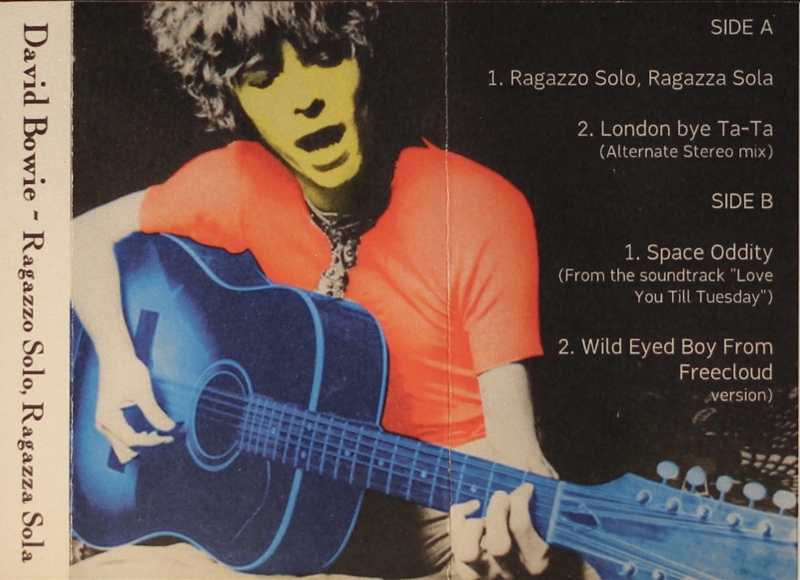 Side 1: Ragazzo Solo, Ragazza Sola; London Bye Ta-Ta. 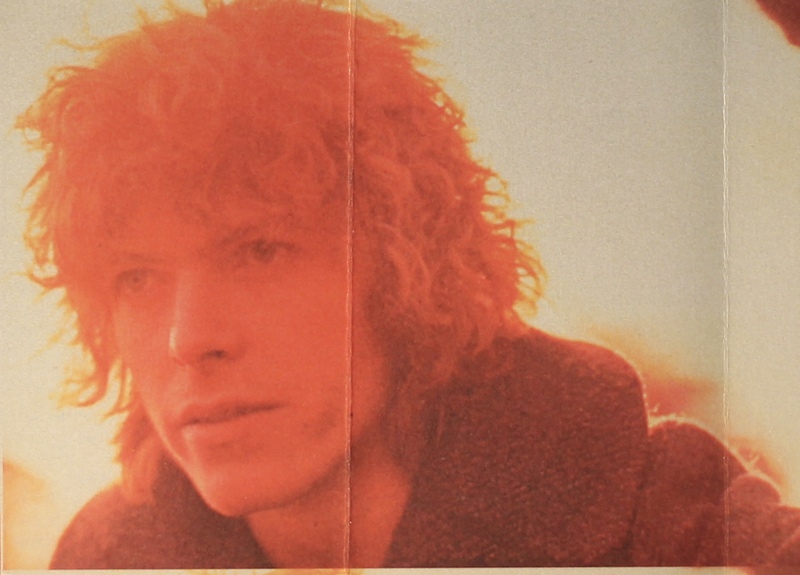 Side 2: Space Oddity; Wild Eyed Boy From Freecloud.